Born in the mid 1800’s in England, and educated at Sydney Grammer, returned to England to study Medicine at University, graduating with the fold medal in surgery. GEN Williams returned to Australia and began general practice in Sydney. He then became a medical officer in NSW Militia and was the PMO at the only Australian contingent to be sent to the Sudan’s in the 1800’s. Receiving the Khedives medal and the Sudan campaign medal. Attended Aldershot, as the only Australian to train in the Army Medical Service. 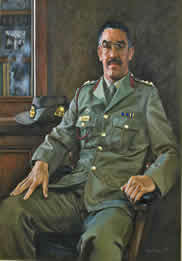 GEN Williams returned to Australia and inspired other medical officers to establish a depot of medical stores and to collect and design ambulances. His ambulances were used during WW2. 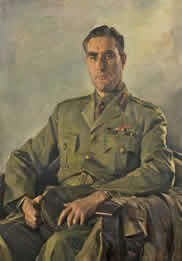 As a major, he was sent as PMO NSW Lancers to Sth African war and appointed as PMO of Australia and New Zealand Medical Services, receiving two more medals in this campaign the Queens and Kings medal. 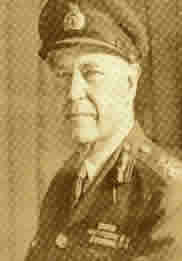 GEN Williams became the first DGMS after Federation in 1902. Dying in 1919 GEN Williams is widely believed to be the inspiration of the Army Medical Corps. Born in Australia, the son of a medical practitioner. Educated abroad and graduated in Dublin. He returned to Australia and joined his father in general practice in Prahran. Fetherson’s father was the RMO of the 3rd Military District, Victoria and Richard later joined the Militia and rose quite rapidly through the ranks to LTCOL. When Fetherston’s father retired, Richard took over as PMO of the 3rd Military District. He was made DGMS in Australia in 1914 and travelled abroad twice during WW1 to establish all AAMC personnel. He was a founding member of the Royal Australia College of Surgeons a former president of the AMA. On his retirement in 1919 he entered into Australia Parliament. Born in England and educated at Trinity College Dublin. Joined the Colonial Medical Service and Toured the West Indies. During the time he was affected by tropical ulcer and was retired from service. After his recovery he went abroad as a ship doctor and was on a transport at the bombing of Alexandria. He journeyed to Australia, settling in Port Melbourne as a general practitioner. 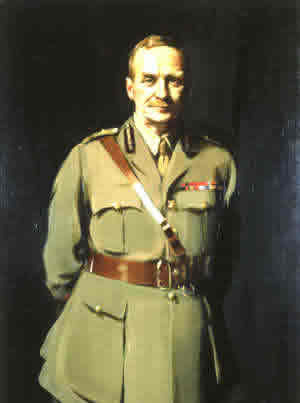 He later joined the Militia and eventually succeeded Richard Fetherston as both PMO of the 3rd Military District, Victoria and later as DGMS Australia. Born England and immigrating to Australia due to illness, he began practising as a GP in Orange NSW and later joined the Militia. He served in the South African War attached to Hutton’s Brigade and was invalided to England. He recovered and returned and became the first Australian soldier awarded the VC for rescuing a wounded soldier. At the start of WW1, he was PMO to the first Australian troops to leave Australia abroad the Berram, which went to the aid of New Guinea. These troops were also to suffer the first Australian Medical casualty when Pockley, a man from WA was shot on the road approaching Rabaul. 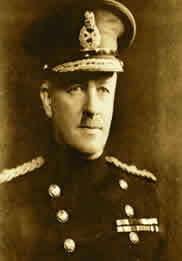 At the end of the war, he ran a convalescent hospital in Cairo and later was made CO to No2 Australia General Hospital. Immigrated to Australia towards the end of the century and set up a general practice in the goldfields. He joined the Militia and served well. Went abroad with the AIF and commanded 1st Station Hospital as Lemnos. Barber became ADMS to Howse and then was appointed Howse’s successor as DGMS. On retiring from service continued to working for a further 17years. Born into the army and played the trumpet when Federation was declared. Joined the Militia after graduating in 1908 he rose quickly through the ranks, to be the youngest LTCOL in the Army and in command of the 3rd Light Horse Field Ambulance at the start of WW1. 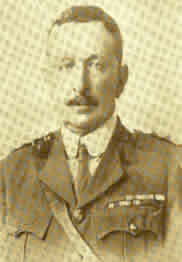 Serving in Gallipoli and remaining in Palestine to become DMS to Australia Mounted Corps. Initiated training for field ambulance in desert conditions. After his return to Australia he became DDMs 3rd Military District and after Barber retired, DGMS. Graduated from Sydney University, he became a teacher in anatomy and later a leading gynaecologist and a founding member of the RCG in Australia. Served as a full time medical staff officer to DGMS Fetherston. Went to France commanding 9th Field Ambulance, 1 AIF and later was ADMS 3rd Division. Between wars he was twice DDMS 2nd Military District (NSW). After Downes retired he became DGMS. Educated at Melbourne Grammar and then later in Adelaide. Decorated for his service in Gallipoli and in France. Awarded Royal Humane Society medal for saving a life at sea. Rose rapidly to the position of DDMS, 4th Military District. After the formation of the 2 AIF became ADMS of 1 Division. 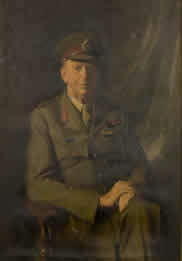 On the formation of RAMC in 1948 he became DDMS to the Corp, then appointed DGMS. Born 1893 in Lilydale, Victoria and educated in Melbourne CEGS and then at Trinity College and the University of Melbourne. During 1914 he saw service in WW1 as LTCOL AAMC, then held various commissions including OC 2 CAV DIV 1926-34, CO 2 FD AMB 1934-38, DADMS 7 AUST DIV 1939-43, DDMS 1 AUST Corps (AIF), 1943-45. Decorated in 1943 for solving medical problems during the Owen Stanley Range campaign. Appointed DGMS (AMFO in 1948 and serving till 1955. During his time he also held the position of Chairman of the College for Nursing Australia. He was Medical Adviser to the Department of Civil Defence during the years 1955-61. He has had autobiography “No Memory for Pain” and two publications on military Campaigns entitled “ The Syrian Campaign” and “The New Guinea Campaign” published and holds various Honorary Fellowships and life memberships. Born in Melbourne Victoria 1907 and educated at University High School Melbourne and then Melbourne University. Awarded Keith Levi Memorial Scholarship in Medicine and Januesions Prize in Clinical Medicine in 1933. Regional Medical Officer Melbourne Hospital 1934. Commissioned in 1939, saw War Service during 1939-46 serving with Royal Army Medical Corp. In 1947 he was at the Royal Army Medical College, Millbank England and in 1949 was Clinical Assistant, Miller Hospital, Greenwich. 1950-56 saw him as Surgeon at Colchester Military Hospital in England. 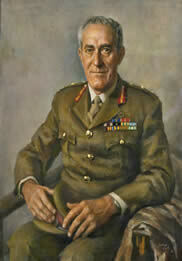 1950-60 he was with the British Army of Rhine 1960-67 he was Director General of Army Medical Services at HQ Melbourne. During this period, he was also from 1960-67; Honorary Surgeon to Her Majesty Queen and Consulting Surgeon to HQ of the Middle East Land Forces in Cyprus. 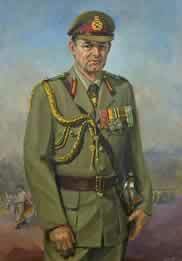 Born in 1936 GEN Rodgers was educated at Adelaide University and then later at the Royal Army Medical College in London. Career including appointments as Regimental Medical Officer 1 Recruit Training Battalion 1960, Officer Commanding 7th Camp Hospital Kapooka 1961, Malaya 1961-63, Regimental Medical Officer 2 RAR 1963, 2nd Field Ambulance Vietnam 1966-67, Commanding Officer 1st Military Hospital 1967-69, Senior Medical Officer Australia Forcer Vietnam 1970. Medical Registrar Royal Adelaide Hospital 1971-72, DHS PGN Defence Forcer 1972-74. 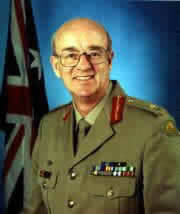 Colonel (Professional Services) Army Office Canberra 1976-81 and Surgeon General Australian Defence Force 1985-90. In 1990 he was part of a three-person team tasked with assessing new information of the effect of the herbicide Agent Orange. He was born in 1945 and educated at the University of Adelaide and Royal Army Medical College, Millbank. He saw service in South Vietnam 1971-72 as a Medical Officer with 1st Australia Field Hospital, 12th Field Regiment RAA, HQ AFV, and HQ AAAGV. He held appointments as Officer Commanding 7th Camp Hospital Kapooka 1972-74, Regimental Medical Officer 3 RAR 1976-77, Commanding Officer 1st Field Hospital 1977-79, and Commanding Officer 1st Military Hospital 1980-83. He was appointed Director Medical Services 2nd Military District 1986-88 and served as COL (Professional Services) in 1984-85 and in 1989. 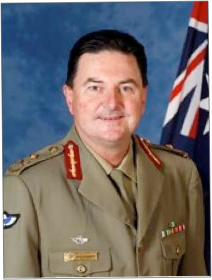 He was Director General Army Health Services 1990-92 and later appointed Surgeon General Australian Defence Force 1992-1996. He was appointed as an Officer in the Order of Australia (AO) in 1995 and KStJ in 2000. 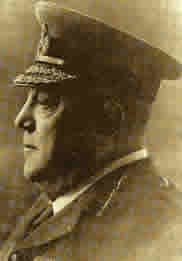 BRIG Rossi was subsequently promoted MAJGEN. 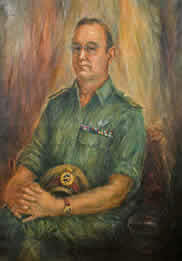 BRIG Buckley entered the Army through the medical undergraduate scheme in 1969, completing his medical degree at Sydney University in January 1972. His military career has included two hospital command appointments, service with Papua New Guinea Defence Force, an assignment as an exchange officer with the United States Army medical department. Several staff positions at the director level and on promotion to Brigadier, appointments both as Director-General Army Health Services and Director-General Defence Health Services. 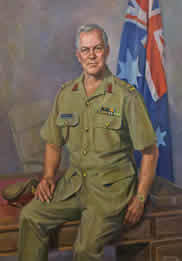 Major General John Pearn was born in Brisbane in 1940 and was educated at Brisbane Grammar School and the University of Queensland. He enlisted as a Captain (Regimental Medical Officer) in No.1 Casualty Clearing Station in Brisbane in 1965. He has seen active service on three occasions, firstly as Resident Medical Officer to the Pacific Island Regiments (2nd Battalion) in 1966, during Confrontation. He subsequently served in Vietnam as the Consultant Physician to the Australian and New Zealand Force, based at 1st Australian Field Hospital in Vang Tau. He served as the Resuscitationist and Consultant Physician as part of the Forward Surgical Team of the Australian Medical Support Force, during the Rwandan emergency. His Army Reserve career has included command of No 2 Field Hospital (1979 - 1982) in Brisbane and numerous other senior military staff and training postings. In civilian life, Professor Pearn is the former Deputy Head within the Graduate School of Medicine, University of Queenslandand currently its Preceptor; and Consultant Physician to the Royal Women's Hospital in Brisbane and Professor of Paediatrics and Child Health based at the Royal Children's Hospital in Brisbane. 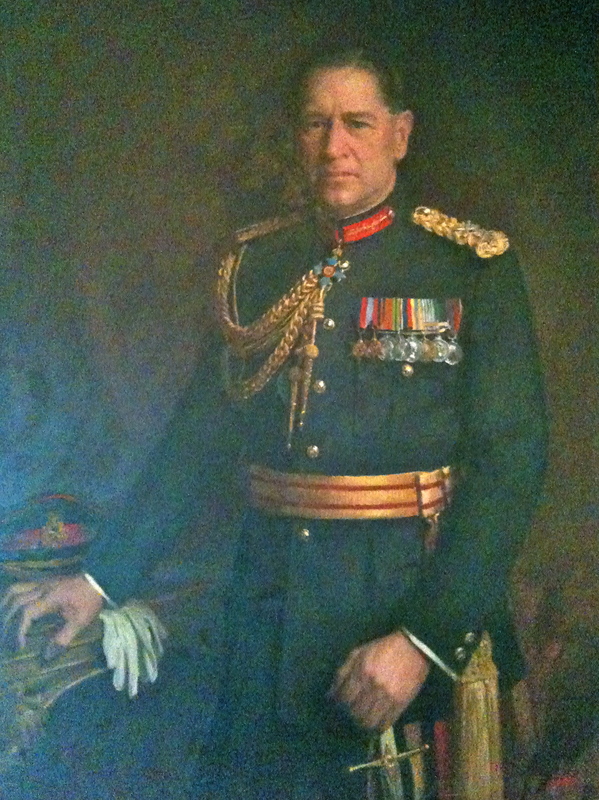 Major General Pearn has published comprehensively in the areas of military medicine and military history. Prior to his appointment as Surgeon General, he was the Representative Honorary Colonel for the Royal Australian Medical Corps (RAAMC) in Australia and has been Colonel Consultant (Office of the Surgeon General) in Medical Research and Medical Ethics since 1990. He chairs the Australian Defence Medical Ethics Committee. He has been awarded the Reserve Force Decoration and was appointed a Member of the Order of Australia in 1979. Major General Pearn retired as the Surgeon General in early 2001. 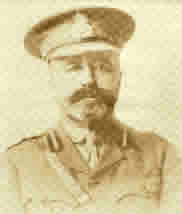 Major General Pearn and his wife Vena have three adult children in the professions of computing science, the theatre and teaching. Colonel G Wells was born in 1952 and raised in Perth, Western Australia. He graduated as a Bachelor of Medicine and Bachelor of Surgery (MBBS) from University of Western Australia in 1976; completing two and a half years residency (including three months anaesthetics and six months paediatrics) before joining the Australian Army in 1978. As a direct Entry Officer he was commissioned into the Royal Australian Army Medical Corps (RAAMC) in September 1978 and has had the following postings and positions: Posted 2nd Preventive Medicine Company Sep-Dec 78 - familiarisation with Preventive Medicine Company operations and attended Pidgin English course Seconded to Papua New Guinea Defence Force, Murray Barracks Dec 78 – Jan 81 (two years of full general practice including anaesthetics, obstetrics and tropical medicine). SO2 Clinical Services Directorate of Army Health Services Canberra) Jan 81 – Dec 82 - clinical policy development for Army. Officer Commanding Medical Company, 11 Field Ambulance, Brisbane Dec 82 – Jan 85, SO2 Medical HQ 3rd Armoured Division, British Army on the Rhine (BAOR - West Germany) Jan 85 – Dec 86 - Operational HQ and management of the health services for the armoured division. He was Promoted to Lieutenant Colonel 17 Jan 87 and posted Commanding Officer 1st Field Hospital, Ingleburn NSW Jan 87 – Dec 88. He was posted Commanding Officer 5 Camp Hospital/DMC (Canberra) Dec 88 – Dec 91 - involved considerable ‘on call’ and hands on primary health care. Posted SO1 Health Directorate of Army Health Service (Canberra) Jan 92 – Jul 92 – medical policy development and administration. Colonel Wells attended the Uniformed Services University of Health Sciences, Bethesda Maryland, USA to undertake MPH program Aug 92 – Dec 93. He graduated MPH Sep 93 - included Tropical Medicine, Occupational Diseases and health administration. He was posted Assistant Director Medical Services, DMS Office Sydney Jan 94-Jan 98 - management of a regional health services – financial and medical administration. He was Promoted Colonel 19 Jan 98 and posted Colonel Health Land Headquarters – management of the deployable health component of the combat Army. In April 2000 he was appointed Head of Corps RAAMC. During October/November 2000 and again in October/November 2001 he deployed to East Timor for periods as the Public Health Physician on the United Nations Headquarters and gained significant experience in development of public health policy for the new nation and in acute disease outbreak investigation. He was posted Director Clinical Policy, Defence Health Service Branch (HQ ADF) from14 Jan 2002 to 17 Jan 05 – and was responsible for the development of clinical policy for the Defence Health Service. Colonel Wells transferred from the ARA to the Army Reserve on 18 Mar 05, and has continued to provide support to the Defence health services (DHS/JHC) in that capacity, undertaking up to 150 Reserve days each year. Brigadier Tony Gill joined the Royal Australian Army Medical Corps in November 1980 as a medical undergraduate in Adelaide. He commenced full-time Army service in 1985 at the 1st Military Hospital, Brisbane, and has served at all levels in the Army Health Services from Regimental Medical Officer 6 RAR. 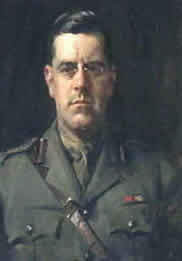 The Officer Commanding Medical Company 2nd Field Ambulance (now Health Company 3 Combat Services Support Battalion) then the appointment as the Commanding Officer 2nd Field Hospital (now 2nd Health Support Battalion). Brigadier Gill has also been JO7 at NORCOM and DJFHQ and served as Senior Health Officer for the latter part of INTERFET before becoming the first Chief Health Officer of the UNTAET Peace Keeping Force. 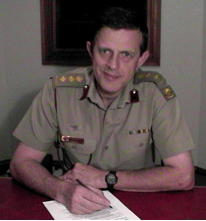 In 2002 and 2003 Brigadier Gill was the Director of Health Capability and Development in Defence Health Service Branch. In 2004 he was appointed as COL Health at Land Headquarters and the Head of Corps, Royal Australian Medical Corps. Mid 2005 saw Brigadier Gill appointed to the position as the Director General Health Services. MAJGEN Paul Alexander joined the Army in 1976 and completed his medical training at the University of Melbourne in 1978. Following several years of clinical training in Victorian hospitals, he commenced the first of several regimental appointments as the Regimental Medical Officer (RMO) of the 3rd Battalion Royal Australian Regiment. This was followed by several years working as an RMO in Papua New Guinea with the PNG Defence Force. He then served as the RMO for the Special Air Service Regiment for three years and completed SAS selection during his tenure. In 1988 he undertook a period of postgraduate medical training in the UK in the areas of Sports Medicine and Tropical Medicine as well as undertaking several military attachments with UK medical units. On return to Australia he was promoted to Lieutenant Colonel and appointed as Commanding Officer of 11th Field Ambulance and subsequently as Commanding Officer of 1st Military Hospital Yeronga. Three years were then spent with the US Army as the Australian Army Exchange Officer to the US Army Medical Department where he was employed in the area of Capabilities, Combat and Doctrine Development and was involved in the redevelopment of US Army battlefield hospital systems. On return to Australia he was promoted to Colonel and posted to Headquarters 1ST Division as the Senior Medical Officer and during this period, deployed with the initial peacekeeping force to Bougainville on Op BEL ISI. He transferred to the Army Reserve in 1998 and subsequently assumed the position of Director Reserve Health Services for Army in Qld. During this period he deployed as the Public Health Officer to the UN Peace Keeping Force in East Timor. 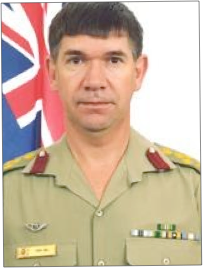 He was promoted to Brigadier in January 2004 and assumed the position of Assistant Surgeon General ADF - Army. He continued to work in clinical practice and was a partner in a large group medical practice in Queensland, undertaking the duties of managing partner. 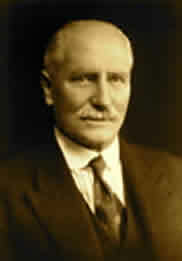 He was active in primary health care policy development as the Chairman of the Redcliffe Division of General Practice. MAJGEN Alexander has also been actively involved in risk management and legal medicine. He has completed a Masters in Legal Medicine and is a Fellow of the Australian College of Legal Medicine. MAJGEN Alexander was promoted to the rank of Major General on 25th March 2008. MAJGEN Alexander was appointed Commander Joint Health and Surgeon General Australian Defence Force on 4 August 2008 and Joint Health Command was established on 11 August 2008.